is added in the effect! When actively participate in a sporting event outside involving scratches and exposure under sun, Protect UV+ prevents both skin troubles of scratch and UV burn. When working outside causing the skin trouble (1) and (2), Protect UV+ prevents (1) and (2) plus the UV burns at the same time with one application. The foremost feature of Protect UV+ is the fact that it can cover all four types of skin troubles on its own, and it is indeed the major difference between this product and rest of the cosmetic products just protecting UV burns. Applied to the right half, and not applied to the left half. 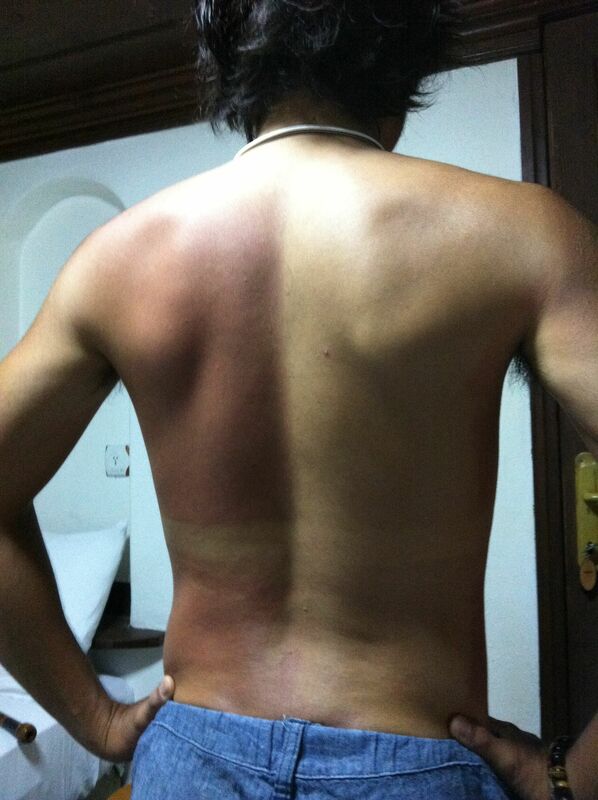 A striking difference in sunburn! On the UV protection level, SPF value (the value of prevention of UV-B ray) is 30, whilst PA value (UA-A ray) is ++. When SPF value is increased higher, there is more oily residues and odor; we have suppressed to 30 level. 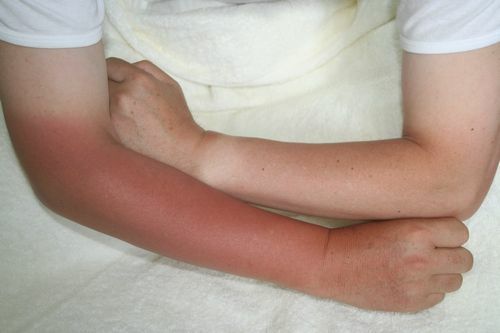 The effect continues for approximately three hours; to stay outside all day, one should apply three times or more per day for suitable effect. 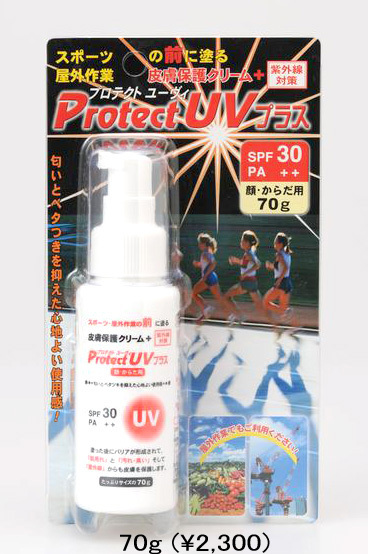 Protect UV+ is contained in a 70g(*) pump bottle packaged in a same plastic case as Protect S1. The same product but packaged in a non-athletic use is packed in a same bottle but without the plastic case. (*) Due to its high viscosity compared to other Protect Series, UV+ is indicated not in "ml" but "g" unit. 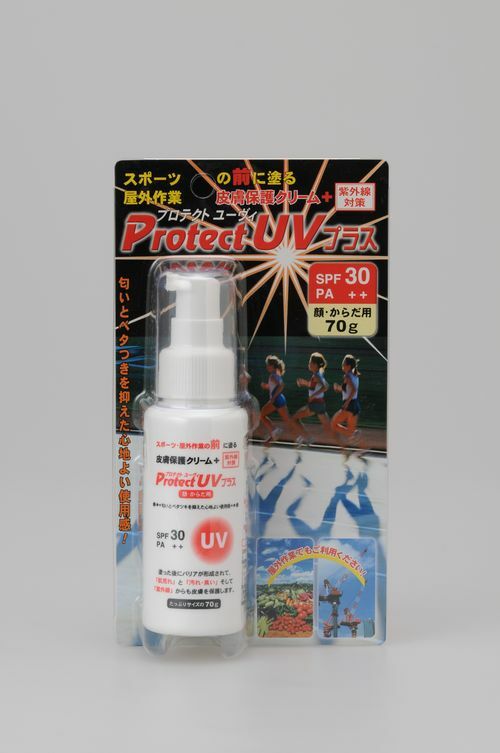 There are three similar products to Protect UV+ in Japan; however, we believe any of these products can exceed in the protection from UV rays, three kinds of skin troubles, the use feel, and the competitive price. With the global warming effect, skin troubles with UV rays are increasing. We expect the demand for Protect UV+ will also be increasing.